If looks could kill, then the password might well be the next victim. Iris recognition is joining fingerprint scanning as the latest way to unlock your mobile. 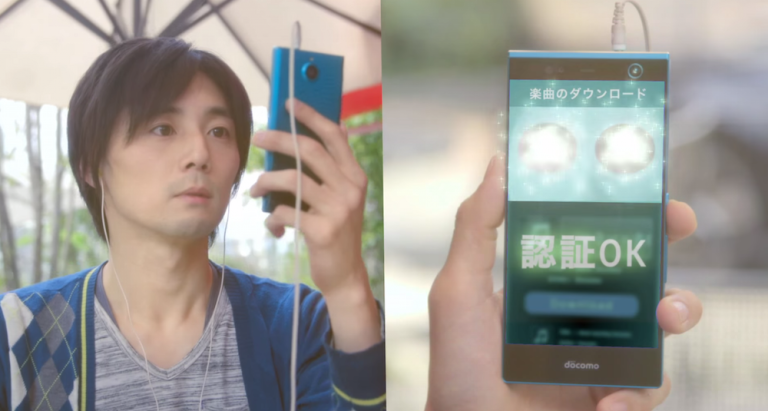 It's been coming for a while now, but Fujitsu's iris recognition tech is now officially to appear in an actual device. The prototype of the excellently-named Arrows NX F-04G smartphone was shown off in Tokyo this week. It uses infrared LED and "a special camera" to scan your iris, letting you unlock your phone and authorise mobile payments at a glance. It's touted as the first smartphone to feature the tech, and was launched in partnership with NTT Docomo, Japan's largest mobile player. How does it work? First, in order to register your iris, you have to stare into two animated circles so your unique "eyeball print" can be stored. The phone then uses the LED and camera to scan your iris, matching it against the data on the phone, with a positive match unlocking the phone. Obviously. The software was developed by Californian-based firm Delta ID and according to Fujitsu, the error rate for the prototype phone is around 1 in 100,000. The rest of the device's spec is less futuristic but still impressive enough. It runs Android 5.0 Lollypop on an octa-core Snapdragon 810 processor, and sports a 5.2-inch, 1440x2560 resolution touchscreen, NFC, 21-megapixel main camera and a 2.4-meg front facing one. However it must be said that, while such a scanner is arguably more convenient than a PIN, which can be copied or forgotten, it takes longer than fingerprint authentication, as featured in the current iPhones and the Samsung Galaxy S6. Available in black, white and green, the phone will be released in Japan this summer for around 55,000 Yen (£292). When will it be released in the UK? Never, probably, but expect to see the tech in other mobiles within the year.